You can find the current issue of "Contact", our monthly magazine, here. The Chet Valley Churches are a group of worshipping communities centred around the River Chet in south Norfolk. Our churches range from a tiny thatched church to a huge 15th century building, and our styles of worship vary too. Like many rural churches, service times are not always the same every week, so if you’re planning to visit us, check out the calendar to see what’s on. Our Sunday services encompass both traditional and contemporary styles. Some follow the Book of Common Prayer (BCP), or current versions of the Holy Communion service while others are aimed at being more family friendly, in particular All Together Worship and Xpressions Café. To find out more about the Church week by week, have a browse through the website, or click on the link at the top of this page to find our Weekly News. On the rest of the site we'll be telling you about who we are. We hope that you'll like what you find and come and join us for some of the events. To make things easy to start with, here are the main services. It is always worth checking on the calendar however, to see if there are any changes. 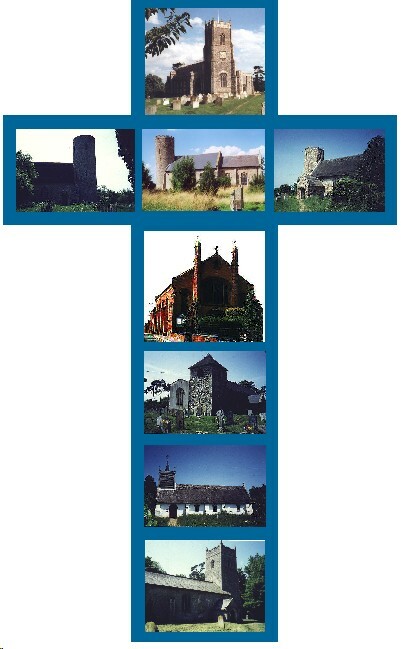 This is a single worshipping congregation (Anglican and Methodist) referred to as the Church in Loddon. 1st Sunday in each month All Saints hosts Xpressions cafe. This is a very informal and relaxed event designed to help people explore the Christian faith in a relaxed and non threatening way. It starts with coffee, although you don't have to go to anything else if you simply want to hang out with coffee and chat. (10.00 a.m. -12 noon). It is preceded by an informal service of Holy Communion at 9 a.m. This Church is often used by the adjacent school.